Dr.Malpani's Blog: Full marks to the Maharashtra Govt Ambulance service ! Full marks to the Maharashtra Govt Ambulance service ! 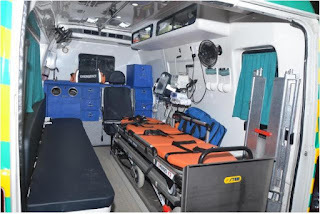 I am not a great believer in the government's efficiency, but I was very pleasantly surprised yesterday by the excellent quality of the free ambulance service the government provides for medical emergencies. We had to transfer a patient to a hospital and private ambulances were not available. I called 108, and the call was picked up promptly and directed to the doctor who was in an ambulance which was parked about 10 minutes away. It was very well equipped, and the staff was friendly and helpful. They did a great job - and the service is completely free ! Please add 108 to your Speed Dial - you could save a life !